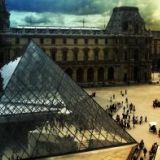 Here are some lists of French words translated in English to help you prepare for your upcoming visit to France. 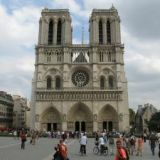 And if your dream trip to Paris, the French Alps, the beaches of the French Riviera, Bordeaux, the Loire Valley, or any other France destination is still far off in the distance, you can bring it a little closer by learning how to speak French, or by at least becoming familiar with some the most common phrases and expressions you might need to use. First, here is an important tip when it comes to French words translated in English. When you are learning new words and trying to improve your French vocabulary, the first thing you want to do is avoid the "translation trap" - which means translating sentences word-for-word. In fact, this is one of the most common errors people make when learning either language. For example, the literal translation of the French phrase "Je suis fini" would be "I'm finished." However the colloquial phrase actually means "I'm all washed up"! To say I'm finished or I'm done, the correct French expression would be: "J'ai terminé" or "J'ai fini." Similarly, if you were to translate "J'ai vingt ans" directly, the translation would be "I have 20 years," whereas what it actually means is "I am 20 years old." And if you were to reverse the process and translate the English "It is cold outside" word for word, you would likely come up with the French "Il est froid dehors." However, the correct French translation is in fact: "Il fait froid dehors." The list of the mistakes often made with French words translated in English goes on and on. Therefore to set you on the right path, the following are some commonly used French words and phrases CORRECTLY translated into English. Comment allez-vous? = How are you? Comment ca va? = How's it going? How are you? Parlez-vous Français? = Do you speak French? Parlez-vous Anglaise? = Do you speak English? As you continue to master the language, see how many French words translated in English you can add to this list. Then practice, practice, practice - before you know it, you'll be speaking like a pro!